The 2014 White Burgundies: What’s Not To Like? As a general rule, the 2014s are not quite as taut as the ‘10s. They are fruitier than the 2012s, with a more pleasing early equilibrium; and they are generally riper and richer than the ‘08s. They may have the best balance of all of these years, although I still give a slight edge to the 2010s for their penetration and backbone. 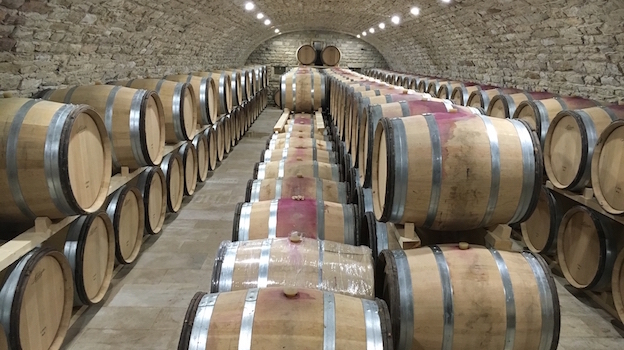 On my tour of the Côte de Beaune at the beginning of June, only two or three winemakers out of more than 40 told me they preferred their 2015s to their 2014s, although it’s important to note that the higher-octane, more flamboyantly ripe ‘15s may still profit from their last months of élevage. The 2014s benefit from mostly moderate levels of alcohol and although the best wines boast superb density this is essentially a medium-bodied vintage for white Burgundy. The wines don’t have the opulence or weight on the palate of the richer 2015s yet they are more tactile and intensely flavored, more savory and gripping on the finish, and they are rarely blurred by alcoholic warmth. With their firm acidity and absence of overripe character, they display wonderful transparency to soil. Best of all, only a small minority of these wines are painfully austere in the early going. Many of them will give early pleasure to impatient white Burgundy lovers who prefer to drink these wines during their first five years or so of their life—including those who do not have proper cellar conditions or have nagging fears about the possibility of premature oxidation. As I reported last year, a generally warm, dry first half of the 2014 calendar year made for a very early start to the vegetative cycle. The flowering was likewise early, and mostly even, under warm, dry conditions at the end of May and beginning of June, setting the stage for a precocious harvest. Still, some signs of hydric stress in the driest sites were already apparent by mid-June. 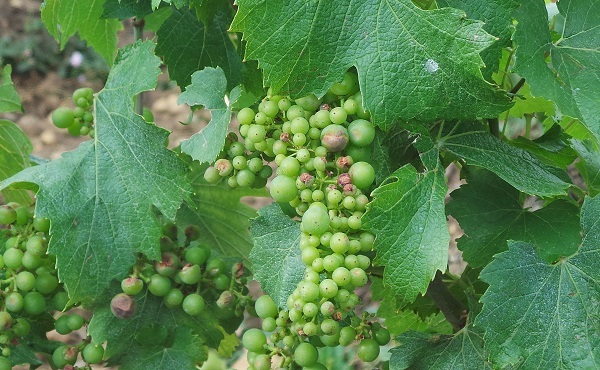 A period of heat in late June was broken the hard way: with a violent hailstorm on June 28 that caused severe damage to vines in Beaune, Pommard, Volnay and Meursault but also affected some vineyards in Puligny-Montrachet. Although the hailstorms came early enough in the season not to affect the quality of the grape skins, old vines as well as vines that were still recovering from hail in the previous three vintages in some instances had difficulties ripening their fruit later in the summer. Then came an extended period of mediocre weather, including sporadic rainfall through July and early August. The cooler- and wetter-than-normal July conditions alleviated hydric stress but nonetheless slowed down the ripening process. 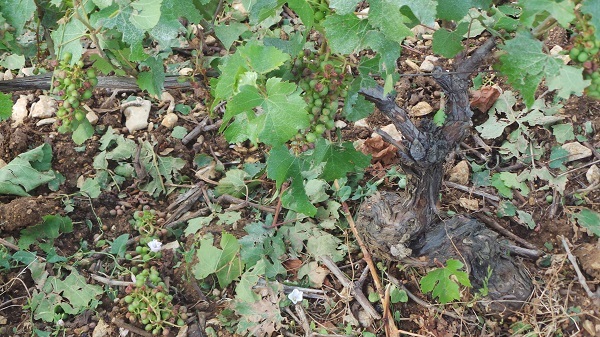 Leaf thinning was successful in warding off rot but vines in some vineyards were vulnerable to sunburn during a heat spike in mid-July. August remained cool and wet; the ripening stalled and the veraison was stretched out. Happily, favorable anticyclone conditions became established in late August and carried pretty much through the end of the harvest. Some growers even reported drought stress during this period, with a prevailing wind from the north exacerbating the dry conditions, but it was too late in the summer for sunburn to be an issue. Other estates described weather conditions as nearly ideal in September, maintaining that although the days were quite warm, the nights were cool enough to preserve malic acidity in the grapes. Grape skins thickened as juice was lost during the last days before the harvest. And hang time was longer than average in 2014, allowing for more thorough ripeness without surmaturité. In the end, the grapes were mostly small and thick-skinned but not shriveled, and they retained sound levels of acidity. They barely needed sorting. The Drosophila suzukii (a type of vinegar fly that can cause acid rot in the grapes) show little interest in white grapes, so the problems that plagued some Pinot Noir vineyards in 2014 were not an issue for Chardonnay. The first harvesters, mostly those in Meursault, started as early as September 9 (especially on those parcels where crop levels had been sharply cut back by hail), while others waited up to another five or six days to start. The harvest took place under mostly warm conditions. There were a few showery periods (particularly on the night of September 18), and then more substantial rain fell on September 24, but most estates were finished with their Chardonnay by then. Yields were about average except in vineyards that had been affected by the late-June hailstorm, where production was down by 40% or more. Acidity levels in the grapes were generally healthy, with a favorable balance between tartaric and malic, but there was also good sweetness to the fruit. The thick-skinned grapes had lost a percentage of their water in the final weeks before the harvest, which helped to concentrate sugars and flavors. While those who harvested early to preserve freshness typically picked with potential alcohol in the 12% to 12.8% range and then chaptalized moderately, those who waited for more ripeness frequently had higher grape sugars and chaptalized lightly or not at all. There were few extreme octane numbers reported in 2014 and little sign of overripe aromas. Growers who had been out of the path of the hail mostly described 2014 as an easy year in the vineyards and in the cellar. They had good but not excessive crop levels that are ideal for Chardonnay in Burgundy (very low yields for Chardonnay on the Côte de Beaune are frequently associated with extreme weather events and, more often than not, result in one type of imbalance or another in the finished wines; on the other hand, outstanding Pinots rarely come from full yields). As a vintage, the 2014 whites display a striking natural balance of fruit, flesh and acidity. They rarely come across as sharp because they possess strong buffering material. Some wines show noticeable extract richness or even a bit of phenolic chewiness, no doubt largely due to the thickness of the grape skins and the high skin-to-juice ratio that characterized this vintage, but the dusty, tactile finishes of the ‘14s are far more likely to reflect strong mineral extract than high alcohol or tannins. Two thousand fourteen was not normally a vintage that needed the fattening influence of lees stirring, although some winemakers used batonnage to counter what they thought was high acidity in their wines. (Many wines were late to finish their malolactic fermentations, and some of these wines really only began to reveal themselves during the autumn of 2015.) The wines were concentrated, expressive and balanced from the start, revealing wonderful transparency to soil and an often salty minerality. They show lovely freshness and purity of fruit—more citrus and white stone fruits than yellow fruits or tropical elements—but they’re about much more than simply fruit. 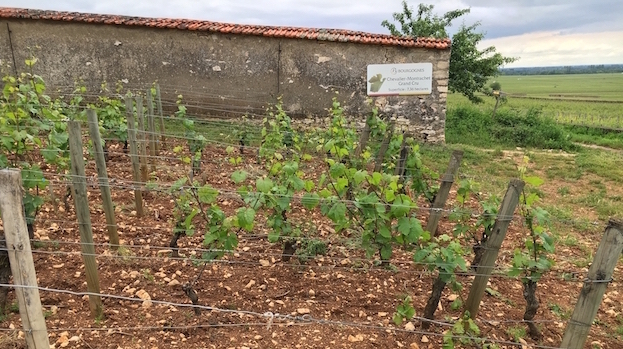 More than any white Burgundy vintage since 2010, they offer captivating treble notes of flowers, spice oils, white pepper, fresh herbs and crushed stone. In my additional tastings of several dozen 2014s at home this summer, where I had the advantage of being able to follow the wines after they were uncorked, I was struck by how many wines seemed deceptively open-knit, creamy and sweet when first poured, only to tighten up and display more lemony cut and stony mineral spine with 24 to 48 hours in the recorked bottle. I take this as a very positive sign for the evolution and potential longevity of these wines. And the best wines of the vintage are truly exhilarating in the way they cleanse the palate and leave the taste buds quivering. My own experience is that the incidence of premature oxidation of white Burgundies (premox for short) was highest during the 1995 through 2005 period (though not necessarily in all of those vintages) and has been markedly lower since then. Of course, wines from recent vintages are still young, and there could always be unpleasant surprises in cru bottlings that under ideal conditions should be able to evolve positively for 10 to 20 years or more. In addition to the numerous steps most intelligent producers have taken to minimize the likelihood of premoxed wines, the 2014 vintage itself offers a favorable profile. Acidity and pH levels in the grapes were mostly sound, the fruit enjoyed long hang time without suffering from stress (with the notable exception of some vineyards that were hit hard by the late-June hailstorm) or becoming overripe, and, perhaps most important of all, the grape skins were healthy and rot was not a factor. Still, I must emphasize that because there is no single cause of premature oxidation, there is no magic bullet that will put an end to the problem. And the issue of premature oxidation encompasses two essentially separate elements: wine chemistry itself, and the bottling process, which includes the use of corks and other closures. But there can also be overlap between these two apparently discrete categories. If some bottles in a case of wine remain pale in color and vibrant in aromas and flavors ten years after the vintage while others are darker and significantly more advanced—if not Dead Freds—then it’s only natural to blame the bottling process, the quality of the corks, or even the chemical composition of the glass bottles. But that’s not necessarily the entire story, as there’s no way of knowing if a particular case was packed with bottles filled and sealed one after another (unlikely) or at various points during the bottling run. Bottom line: There are a lot of variables at work in premature oxidation, including some you might not normally consider. In recent years, producers have taken a host of steps to improve wine chemistry—including, but not limited to, picking earlier with better acidity and pH levels, cutting back on the extraction of oxidation-prone flavonoid phenols, reducing bâtonnage (lees stirring), and making more attentive use of SO2 additions and keeping higher levels of CO2 in the wines, both before and after bottling. Many white Burgundy producers are now focusing on better protecting their wines during the bottling process. Critical to this effort has been steps taken to reduce the amount of dissolved oxygen in the bottled wines, which can quickly absorb free sulfur and leave wines vulnerable to oxidation. This can be done through the use of inert, neutral gases and more sophisticated—and more careful use of—bottling equipment. Unless considerable care is taken, wine bottled at the beginning and end of a batch can receive more exposure to air or include more oxidizable solid material. Obviously, when a cuvée comprises just a few barrels, the first few cases of wine at the beginning of the bottling run and at the end represent a larger percentage of the total production of that wine. And those very small lots frequently include Burgundy’s scarcest, most expensive and potentially greatest premier and grand cru bottlings. Sulfur levels at bottling nowadays are frequently considerably higher than they were in the mid-‘90s, often between 30 and 40 parts per million, vs. 20 to 25 previously. Both négociants and family estates are spending more money than ever before for better corks—often longer, wider, denser and from older trees—and pre-testing a higher percentage of them than previously. And numerous producers, including some big names, are now making use of DIAM closures, not just for their lower-level wines but even for their top cru bottlings. (DIAM corks are “technical closures” made from fine pellets of agglomerated cork glued with a food-grade binder.) DIAM has been shown to provide very tightly controlled, and uniform, long-term oxygen transmission rates, in addition to sharply reducing the possibility of cork taint from TCA. The new longer, denser DIAM-30 model, which at least theoretically guarantees wines against premature oxidation for 30 years (and that would indeed be a miracle for all but the most ageworthy white Burgundies) has already been adopted by some producers for their best wines. I should note that since the rise of premox in Burgundy, similar problems in other regions and categories of wine have been identified, including white wines from Alsace, Germany, the Rhône Valley and Australia. Some recent studies have suggested that premature oxidation of some red wines is on the verge of becoming a serious issue as well—particularly low-acid, high-pH wines from very warm years. Red wines begin with greater protection against oxidation than whites do, as the tannins and the phenolic material in the grape skins have anti-oxidative properties. So these wines are generally less fragile than whites, but much of this advantage can be lost when the fruit is overripe or roasted by the sun. Here’s one more conundrum to ponder: the 2003 vintage in France. A couple years ago, Decanter magazine reported on a ten-years-after tasting of 2003 red Bordeaux in which a number of bottles, including some from top estates known for making long-aging wines, appeared already to be tiring. While the ’03 vintage in much of France is known for its high alcohol and very low acidity levels, some experts blame incomplete ripening of the grapes due to hydric stress and vine shutdown during the stifling-hot and dry summer for the rapid evolution of some of its clarets. And yet, the 2003 white Burgundies, which began with record-low acidity (but high alcohol, thick skins and high levels of dry extract), continue to resist oxidation more successfully than any other vintage of the 21st century. I recall that when I tasted nearly a hundred 2003s chez moi during the summer of 2005, the wines initially showed aromas that I can only describe as extreme or atypical, and yet, after four or five days in the recorked, refrigerated bottles, fresher and more typical—and often downright fruity—aromas began to emerge. And the wines are developing at a snail’s pace. Still, with very few exceptions, the vintage imprint of the 2003s continues to dominate the wines’ terroir character. I tasted the great majority of the 2014s reviewed in this article in the cellars during the last two days of May and first eight days of June, and sampled additional 2014s from bottle in New York in August. As always, I have been conservative with my projected peak drinking planes, and fans of white Burgundy who enjoy their wines on the young side or do not have proper cellar facilities should get pleasure out of most 2014s early. But the better 2014s should last well—say, 6 to 10 years from the vintage for village wines, 8 to 15 for premier crus, and 10 to 20 for grand crus. 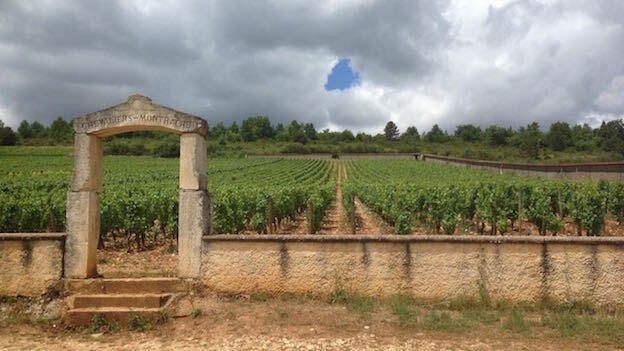 For lovers of classic white Burgundies, 2014 is clearly a vintage to buy. Not only is quality unusually consistent, but the 2015s will be even more expensive and, as much as I like the best wines, they will probably be of less interest to connoisseurs. The 2016s may be more expensive still, as the potential size of the crop was sharply cut by the disastrous frost and hail this spring. Grape growers had to work as hard as ever in the vines this summer, but for less of a pay-off in quantity. And the ultimate quality of the 2016s is unlikely to be as consistent as that of the ‘14s—or even the ‘15s.